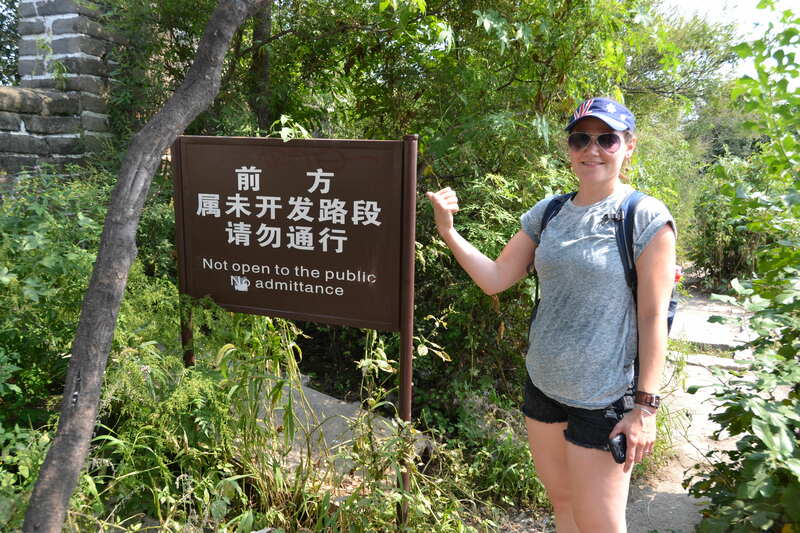 In the morning of our third day in Beijing we made our trip to the Great Wall, which we did as part of a group organised by our hostel that we booked the day before. The coach from the hostel left at 8am, and stopped at several hostels before heading out of the city for the hour long drive. 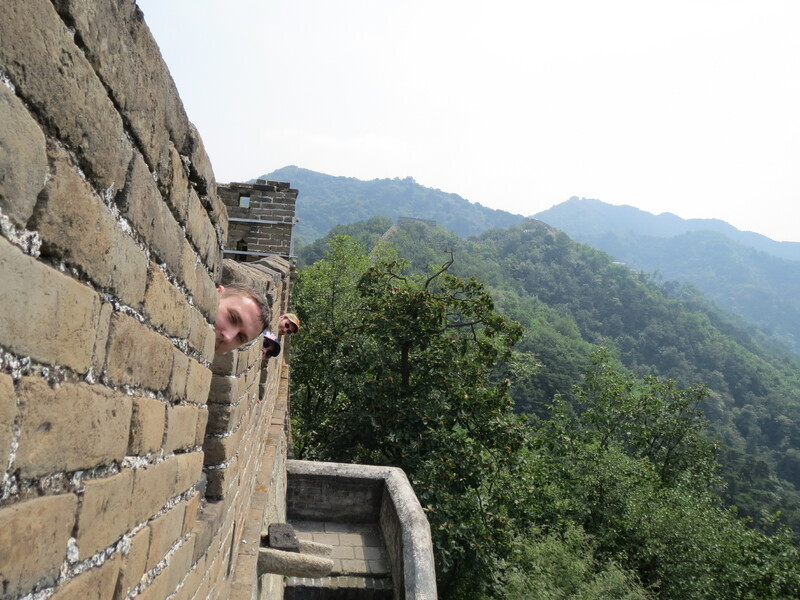 We headed for the Mutianyu section of the wall. 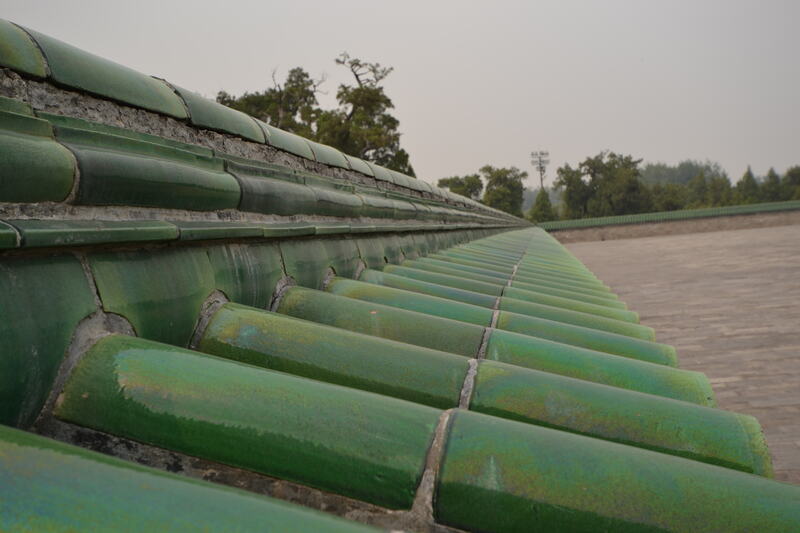 We were told that the wall is over 20,000km long, and the section we visited was about 8km. To get up to the wall we took a chair lift which dropped us off roughly at the centre of the section, which meant we had to pick which way to go as we wouldn’t have time to walk the whole thing and come back. 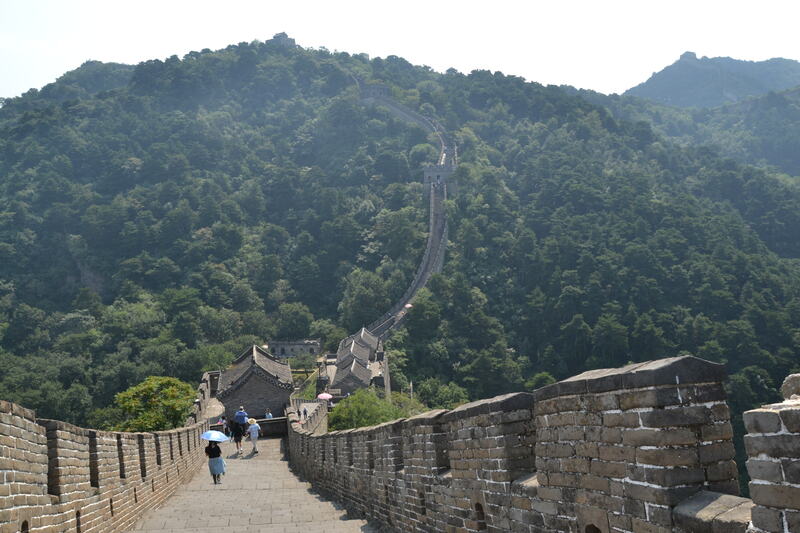 Although we were given about 2.5 hours on the wall, our tour guide warned us that it was actually quite a trek as the wall is very hilly and there are lots of uneven steps to navigate. 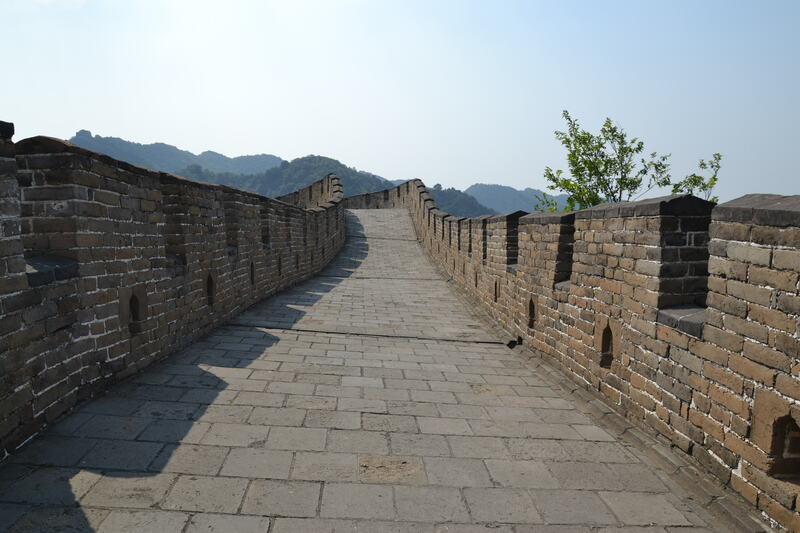 We headed east, as this led to a very old section of the wall at the far end, which unfortunately you are not allowed to walk on, but it offered some variety from the rest of the wall which has been rebuilt and repaired over the years. Naturally I stopped for an au batido on top of one of the towers – a right of passage for capoeristas. 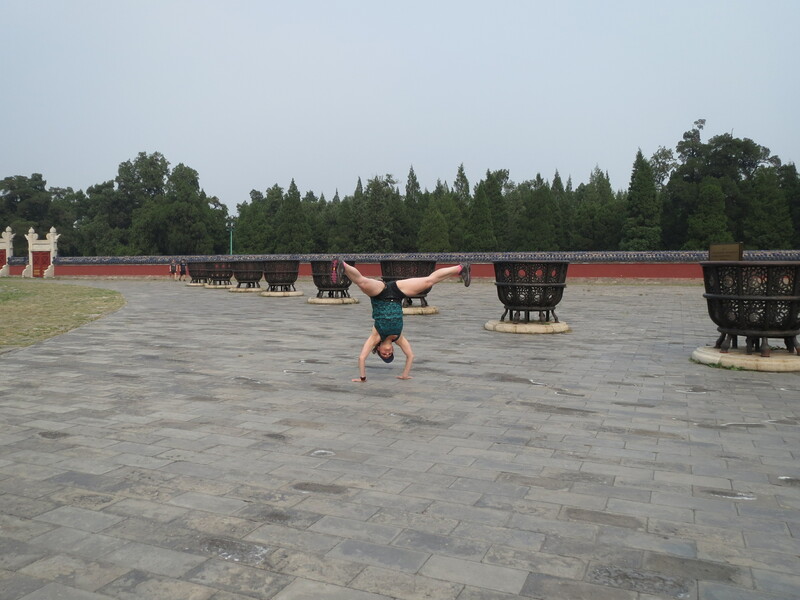 Of course the wall was epic in its size and majesty, and as a feat of human culture, but I have to admit that a highlight or the trip was that to get back down from the wall we got to ride a toboggan!! Unfortunately I didn’t think to take a video myself (foolish), but luckily others have been before me! I had to go about this slow as well as the person in front or me – my husband none the less – was going really slowly, stopping me from testing it at speeds! 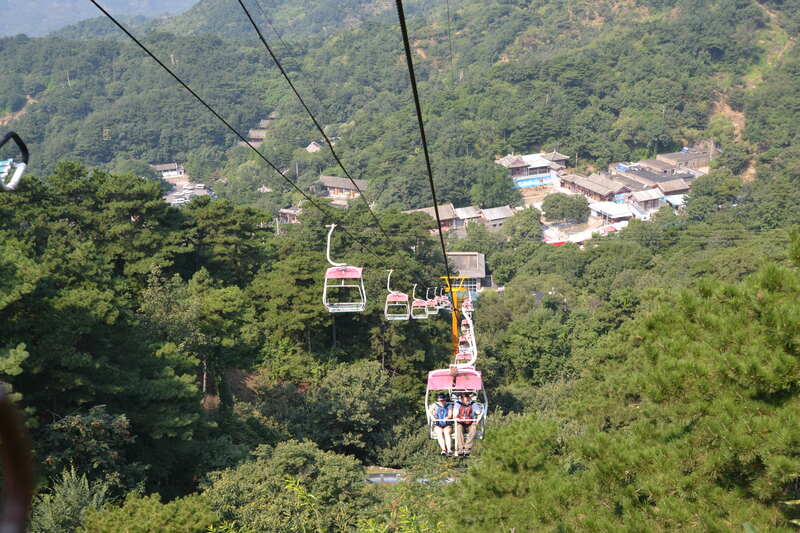 Although not a particularly dangerous ride, you can imagine a similar experience in the UK, where you would probably need to wear a helmet and elbow pads, be strapped in, and go through a safety induction before getting within 10 feet of the toboggan. 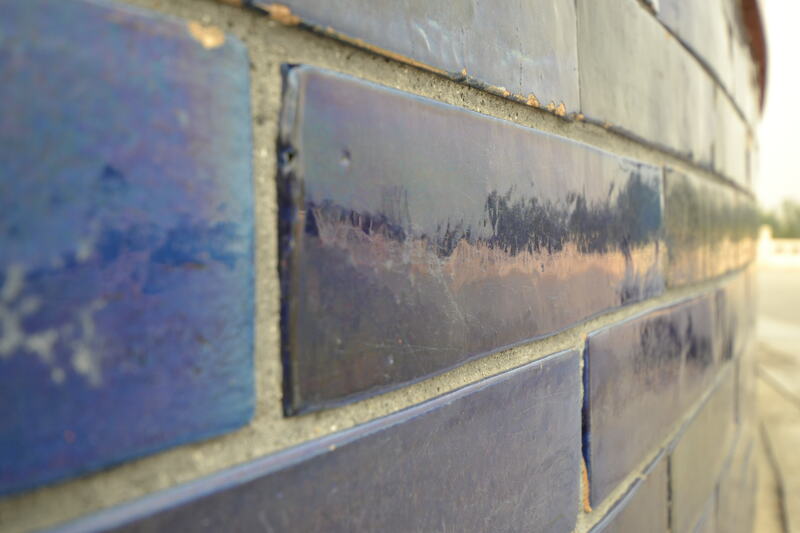 It was a nice way to end our trip to the wall. I say end, but before leaving we all went to a restaurant together. 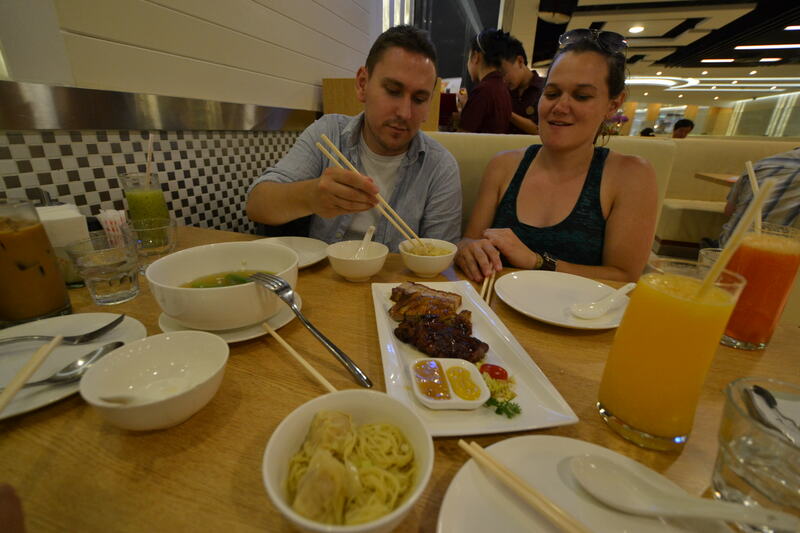 The food was ordered on our behalf, not something I usually like, but since my understanding of the menu was minimal to say the least, as was my knowledge of local cuisine, it was a great way to try a few new dishes I would never have thought to order. The strangest thing to come out was something I think was called Matang, which is some kind of candied, sweet potato chunks which seemed like they were covered in toffee! In the afternoon we headed to Ya Xiu, a giant clothing market in Beijing. Specifically the boys wanted to head to Wendy’s and get measured up for some tailored suits. We looked around more generally as well, but didn’t buy anything as we knew we would be back near the end of the trip to pick up the suits, so could grab what we wanted then. For dinner we headed to Ghost Street, at our taxi driver’s recommendation. 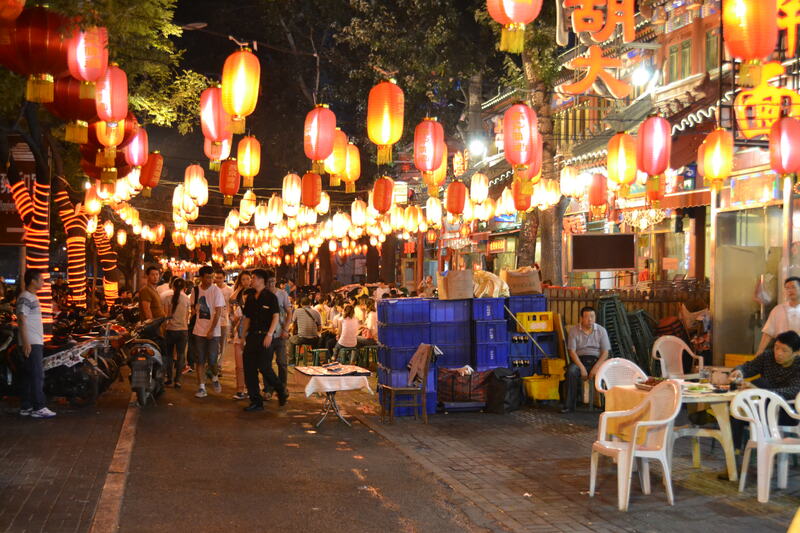 There are restaurants up and down the street for about a kilometre, and the entire area is decorated with red lanterns. It is called Ghost Street because of the ghostly spectacle of the grocery and produce market formerly located there, but it was very much alive that night. Outside all the restaurants people sat waiting for a table and eating nuts. As there are so many people and so many nuts there is a constant clicking sound in the background as so many people break the shells off their snacks. Despite there being loads of places to eat we had trouble finding somewhere because most of the restaurants specialised in hot pot, and we were planning to have this with a friend of my brother’s in Chengdu, and didn’t want to ruin the experience. 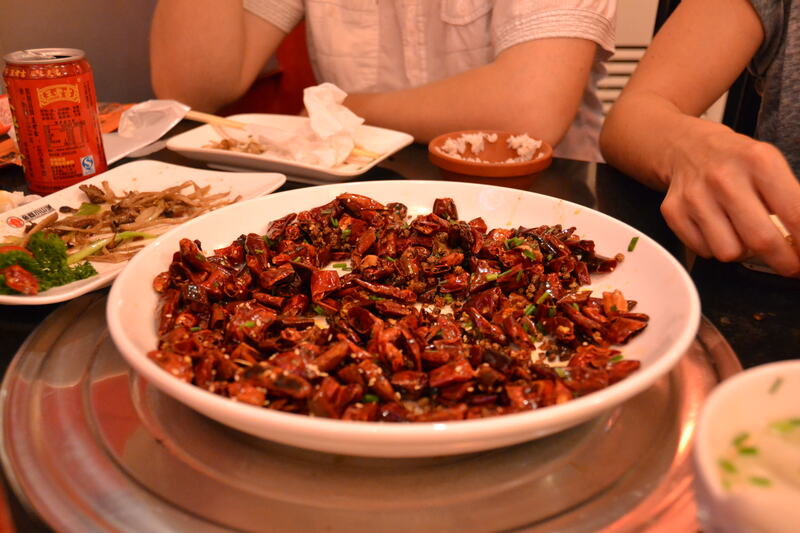 We found somewhere eventually and had Sichuan style spicy food. Back at the hostel as we had a few drinks at the bar we all commented how crossing the street, which had seemed like an extremely scary experience when we first arrived, now felt normal. Although there are pedestrian crossings, with lights, on all the major streets, how exactly these work is still unclear to me, as it does not appear that cars actually need to stop for the crossing or the light – and apparently article 40 of Beijing’s traffic laws state that cars are not allowed to stop at pedestrian crossings. In addition to this there are cycle lanes on most roads, used not only by bicycles but by motorbikes, cycle powered people carriers, and all the variations upon this you can imagine! Not only do they have their own lane, but they also use the pedestrian crossing area as well. I can’t tell you the laws and how they work together, because I still don’t know, but by just doing what everyone else was we did we eventually picked up how to navigate the streets intuitively. Now that we’re crossing like locals, we did worry about the kind of mayhem we might cause when returning home! 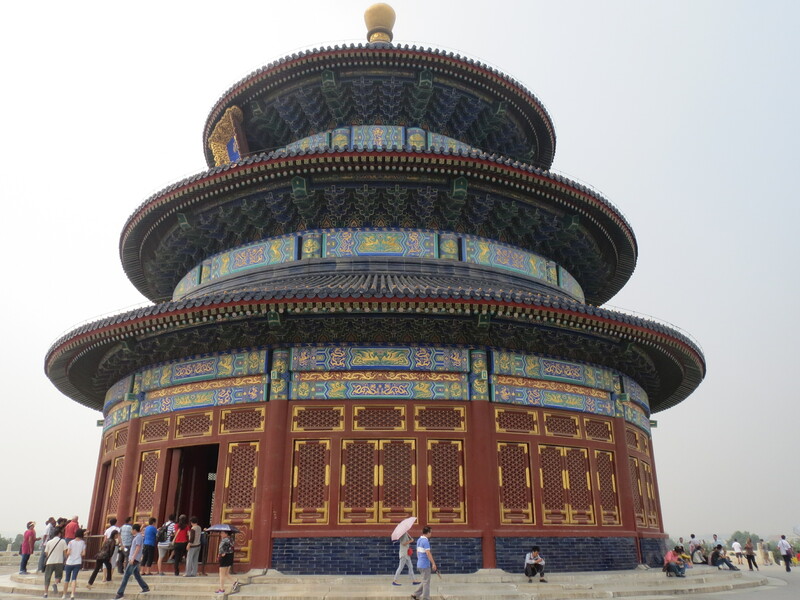 Our final tourist stop in Beijing was the Temple of Heaven, which was actually very peaceful, especially compared to the Forbidden City. 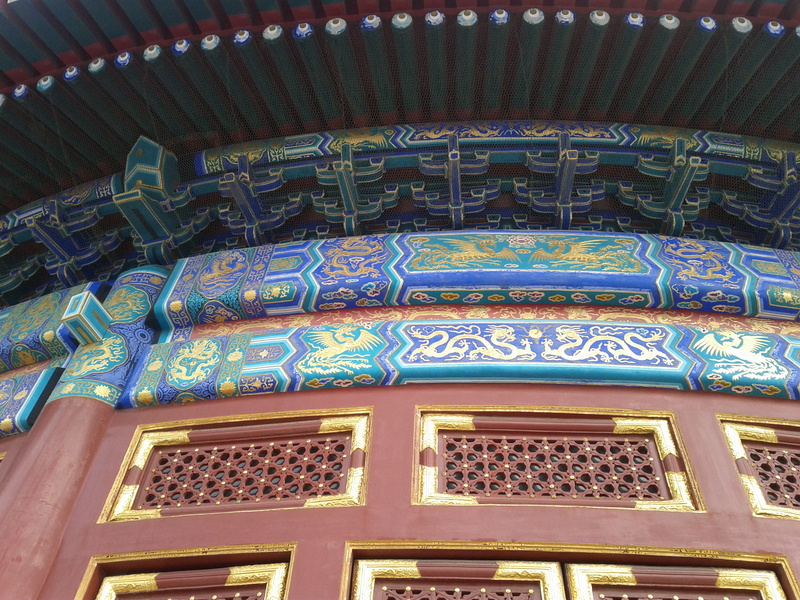 The Forbidden City was packed when we went, and I don’t know if this was because we went on a weekend or its just such a popular visitor attraction, but this temple was comparatively quiet. The precinct was surrounded by gorgeous gardens, where some people were flying kites, which I desperately wanted to do, but unfortunately this didn’t happen. 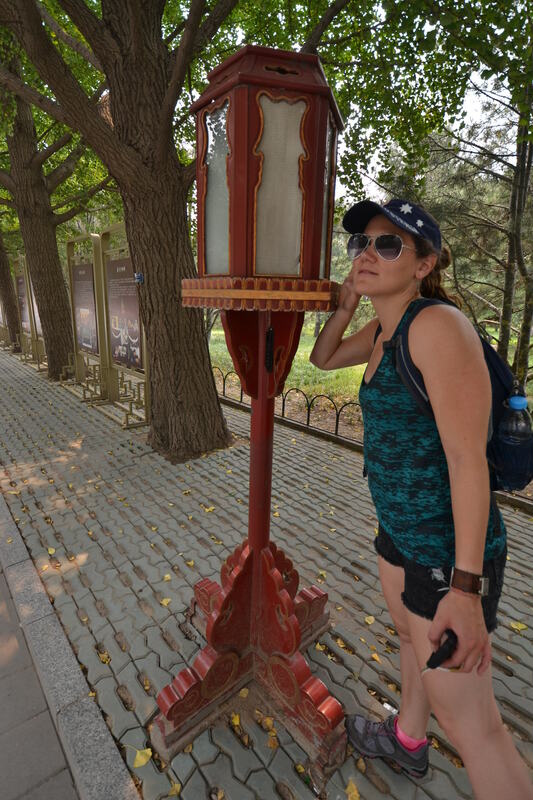 As we navigated the gardens we realised that a lot of the lamp posts played music, which was a bit surreal, but things went down hill when we got closer to the temple and realised that there was a giant screen on one of its outer walls playing a video about how lovely Beijing is – true but it seemed highly inappropriate for a temple. 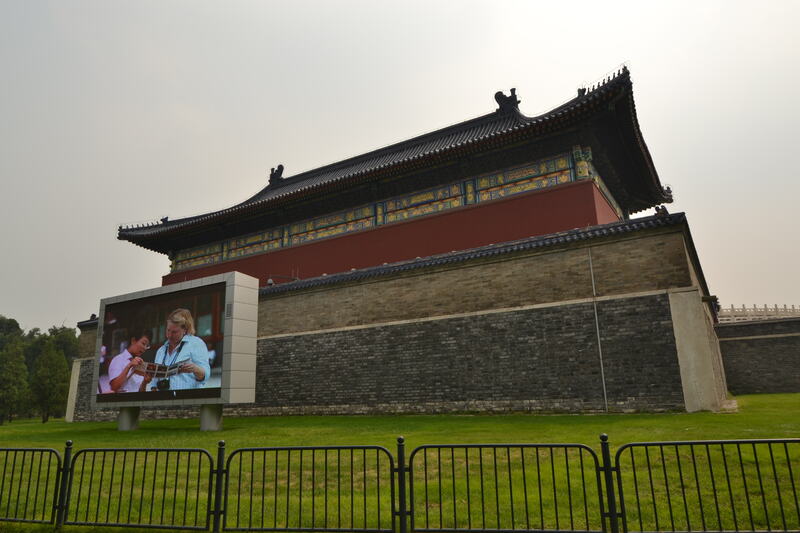 Behind this wall was the temple complex, which included the Hall of Prayer for Good Harvests, the Imperial Vault of Heaven and of course the Temple of Heaven itself. The temple was beautiful, and this evidenced by the fact that I took loads of pictures. 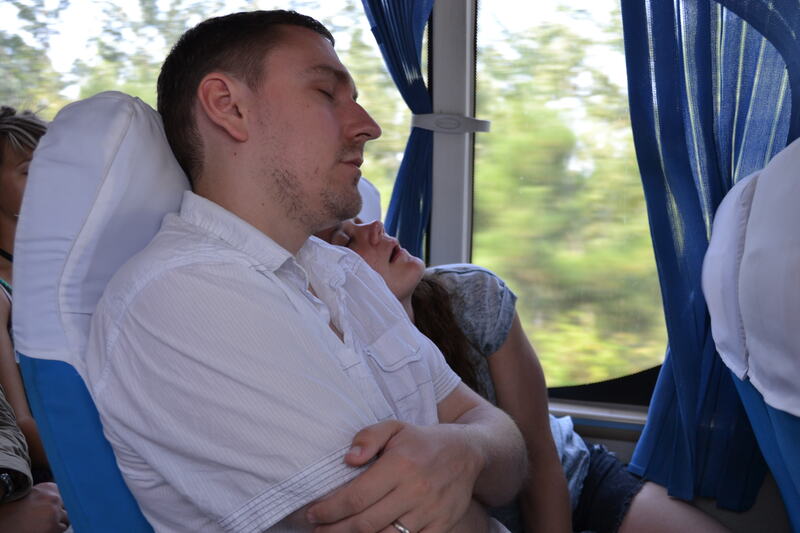 My brother and his partner are both picture people, and took loads of pictures throughout the trip. I, on the other hand, prefer just to soak things up without worrying about capturing every moment, especially since I don’t often look at pictures. Sometimes this is mistaken for not being interested, but I really just don’t enjoy taking pictures. I did take a few here at the temple however as I thought the decoration was beautiful. 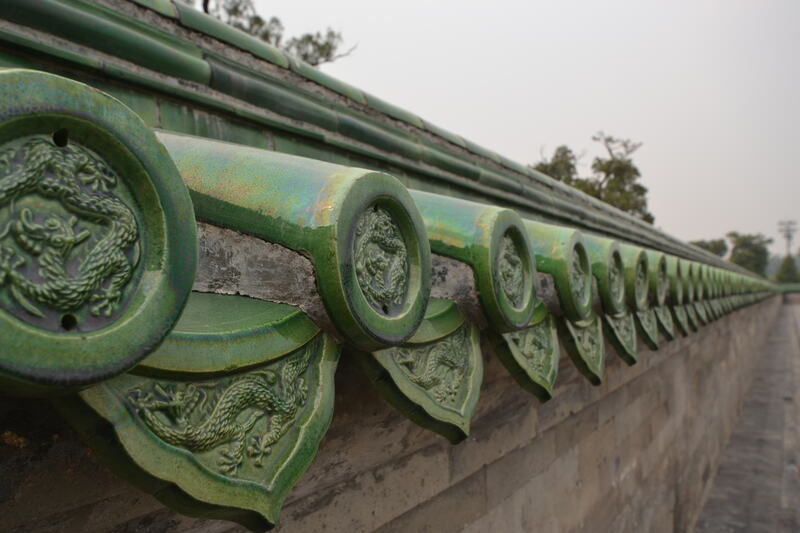 While the main buildings were red, the decorative beams were all blue, green and gold and showed dragons and serpents. 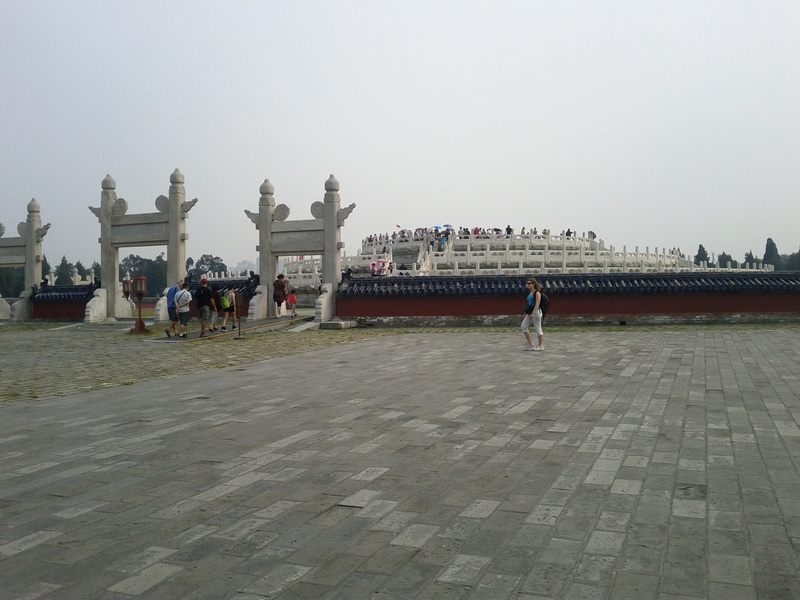 On the other side of these buildings was the Circular Mound Altar, which is an empty circular platform with three levels of marble stone, each decorated with lavishly carved dragons. 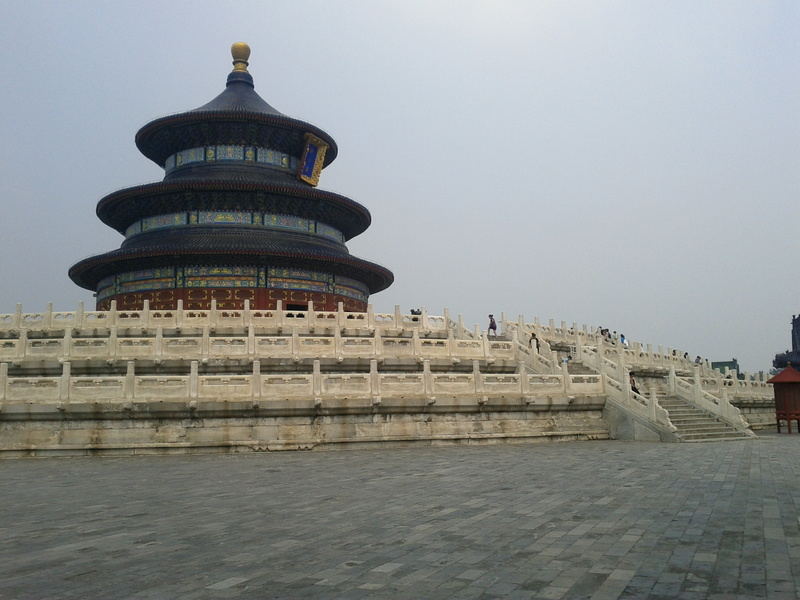 On the top level in the centre is a round slate called the Heart of Heaven where the emperor used to prayer for favourable weather. Because of the design of the altar the sound of his prayers would have been reflected off the guardrail, creating significant resonance, which was supposed to help the prayer communicate with heaven. 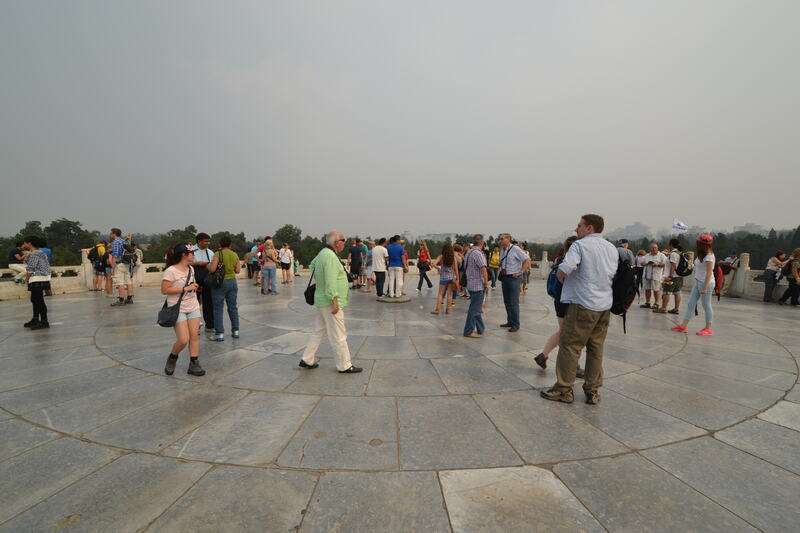 Queues of tourists lined up to stand on the slab, pushing to get their turn, something you simply have to do in China, however, I couldn’t really make out the particular resonance of the sound. Here at the temple we noticed that young children didn’t wear nappies, instead they wear trousers with a massive slit in the crotch from front to back, and when they need to do their business, they simply squat and do it. I understand this is how kids are toilet trained, and people just don’t feel the same way about kids doing their business in the open and in the street as I do… To be fair we only saw one child actually doing their business, and they were doing it in a garden area, not on the street/pathway. For dinner we headed for Guomao, which was supposed to have an excellent food parlour, in the style of Harrods in London. We didn’t manage to track this down, but we did find our way into a very empty China World Mall and an excellent restaurant. This was the most expensive meal we had on our trip to date, costing Y326 for the four of us, with most of our other meals costing Y50-100 total. We had an assortment of dishes, but a highlight was a BBQ meat selection, which melted in the mouth while exploding with flavour. We ordered seconds and thirds of this dish! 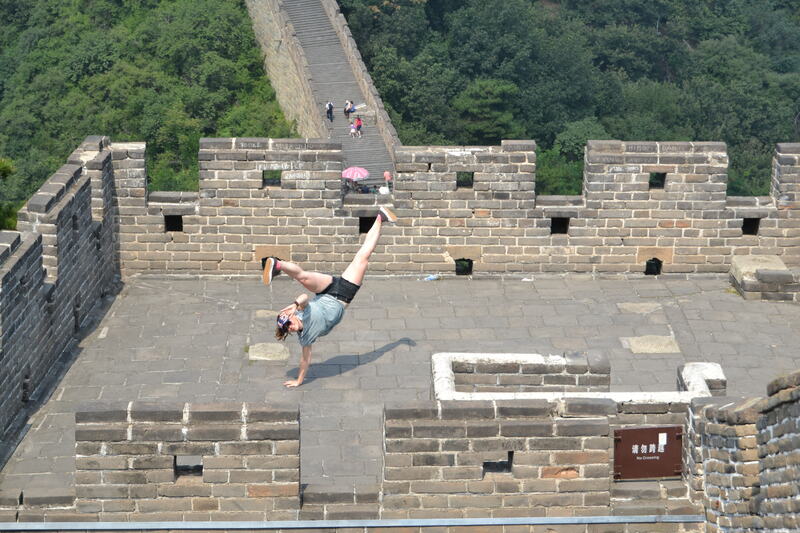 This entry was posted on March 21, 2014 by Jessica Suess in China Expedition and tagged Beijing, China, China World Mall, Ghost Street, Great Wall, Guomao, Mutianyu, Temple of Heaven, Toboggan, Ya Xiu.